Students from zila parishad schools have fared better than their counterparts in private schools, according to the Annual Status of Education Report (Rural) 2018. The survey report, released on Tuesday, reviews the status of primary education in the country and is conducted by a non-profit organisation, Pratham. Not only this, the performance of primary school students in Maharashtra has improved and is better than the national average. However, the progress of children in upper primary has not registered much change. As many as 19.8 per cent children of Class 8 could not read Class 2 text. This means one-fifth of the surveyed children are not ready for higher education. Arithmetic proficiency is worse, found the survey. The tasks in ASER aim at assessing foundational skills such as reading and arithmetic. 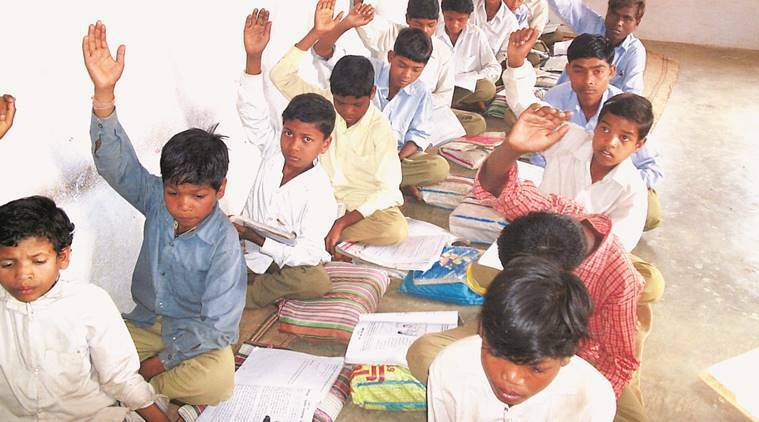 The report shows that 44.2 per cent children in zila parishad schools can read Class 2 text as compared to only 33.6 per cent students in private schools. In Class 5, 66 per cent students in zila parishad schools could read a story from the Class 2 curriculum, a jump from 51.7 per cent in 2014. In Class 5, 30.2 per cent children could solve division problems, compared to 20.5 per cent in 2016. Maharashtra’s performance in the survey is above the national average on a majority of the parameters. The national average for children who can read the alphabet and more is 46.8 per cent whereas the average stands at 66.2 per cent in Maharashtra. While 5.1 per cent girls in the age group of 15 to 16 years in the state do not go to schools, the corresponding national figure is 13.5 per cent. The annual survey, that began in 2005, includes children in the age group of 3 to 16 years.